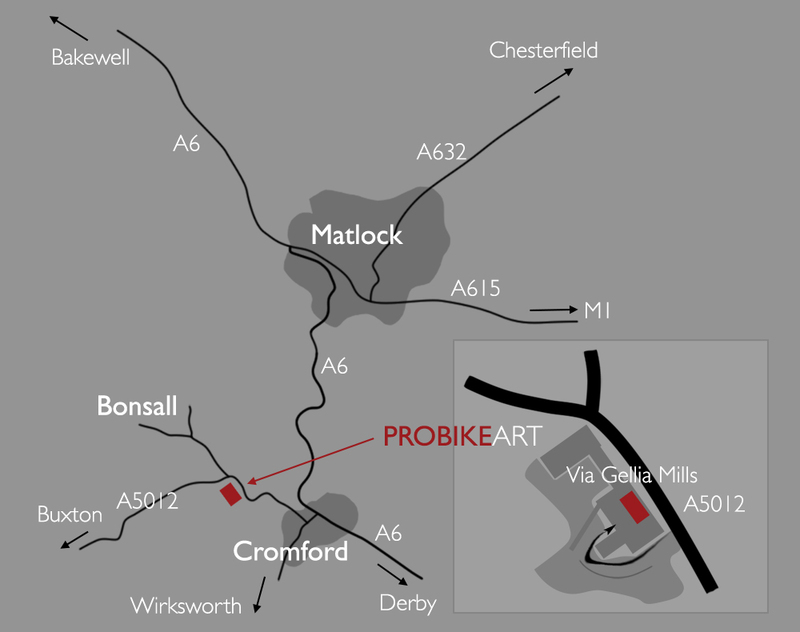 The ProBikeART studio is located in the Via Gellia Mill near to Cromford and Matlock Bath. Access to the studio is easy and you are able to drive your bike or van right up to the entrance. In the event of wet weather there is a small covered area outside the studio where you can wipe your bike down. We have cleaning materials where you can apply any finishing touches to ensure it is in the best condition. The Via Gellia Mills are easy to find and are on the left hand side of the A5012 (Via Gellia Road) as you travel from Cromford. There is plenty of parking available on the site. The studio is Unit 2D and is on the ground floor of the brick built mill. Follow the signs for 'Ian Daisley Photography'. You can pay for your booking online using PayPal. Click on the the Buy Now button which will take you to the PayPal checkout. At the PayPal checkout page, enter the amount you need to pay and click update. You don't have to have a PayPal account to use this method, just follow the instructions at the checkout page. All studio bookings require a despoit of £50. The balance is payable either before, or on the day of the photo shoot.